Answering "How does the space environment affect volatiles, exospheres, plasmas, surface micro-structure, and visiting human systems at any exposed rocky body?" Emphasizing the dynamic solar storms and human interactions at airless bodies. The premiere episode of NASA's new live TV program, 'Science Live' included DREAM2 scientists discussing the latest lunar science and taking questions live on NASA TV. DREAM2 Co-I Dana Hurley was on the panel describing her work and answering questions. Interspersed video segments featured DREAM2's Andrew Poppe in a new video describing the enigmatic lunar magnetic anomalies and DREAM2's Jacob Bleacher in a video describing the curious lunar lava tubes. The DREAM2 team was awarded the prestigious Robert H Goddard team award for excellence in science. The Citation reads: For excellence in the application of space environmental science to exploration applications. Congratulations to all the DREAM2 team members for their terrific activities. Many DREAM2 team members are participating at the annual meeting of the American Geophysical Union (AGU) in Washington, DC. Besides a number of poster and oral presentations, DREAM2 co-I Dana Hurley is co-convener of a session called 'New Perspectives on Dynamic Lunar Processes'. DREAM2 Co-I Andrew Jordan lead a team of investigators in the examination of electrical charge build-up within lunar regolith associated with solar energetic particle events. These particles charge up the top 1 mm of soil, creating large electrostatic field that could possibly lead to localized breakdown within the soil. They modeled this weathering effect across the lunar surface, with the greatest percentage of altered regolith expected at highest latitudes – where the surface is cold and regolith electrical dissipation is reduced. "The possible contribution of dielectric breakdown to space weathering on Phobos" by Jordan et al. "Anticipated electrical environment at Phobos: Nominal and solar storm conditions" by Farrell et al. "Shaking as a means to detach adhered regolith for manned Phobos exploration" by Hartzell et al. "Exospheric escape: A parameter study" by Killen et al. A team led by Jasper Halekas recently mapped out the lunar ionosphere using a set of ARTEMIS measurements from the Electrostatic Analyzer and E-field instruments. The lunar ionosphere became readily apparent during geomagnetic tail crossings since the lunar ionosphere density exceeded that of the low density tail region. Last Thursday, July 26, the DREAM2 team hosted over 40 educators as part of the joint APL/GSFC/LPI SSEPEI program. The educators spent the early part of that week at APL and the National Air and Space Museum, and then a day dedicated to activities here at GSFC. DREAM2 team members and members of the larger GSFC science community provided talks and met with the educators over lunch. Lots of terrific discussions took place. We especially want to thank our own DREAM2 outreach coordinators Nikki Whelley and Andrea Jones for helping to organize the event with APL and LPI. The SSERVI Forum was the last week in June and DREAM2 team members were active participants providing many presentations and posters. Presentations at the meeting, including those from DREAM2 team members, are now online for viewing. See https://nesf2018.arc.nasa.gov/program. Dr. Dov Rhodes arrives as a relatively recent Ph. D. graduate in applied physics from Columbia University. While there he worked on computational modeling of MHD plasma instabilities in fusion reactors. On DREAM2, he will be working on astronaut and rover electrical charging in the exposed plasma environments at the Moon and other airless bodies. The DREAM2 team met for its annual meeting at the Greenbelt Marriott last week on 4/25 and 26. Team members presented their exciting new research and the team made plans for future science and exploration opportunities. At the team meeting, there was a large representation of the next generation: Post-docs and early career team members who will be part of the next exciting phase of lunar science – very encouraging! 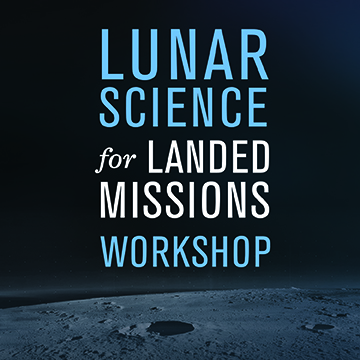 The lunar community, including DREAM2 team members, is meeting at NASA Ames Research Center on 1/10 and 1/11 to discuss science-driven landing targets for the Moon. We congratulate our DREAM2 Deputy PI Rosemary Killen who was recently named a Robert H. Goddard Award recipient for her outstanding achievements in science. Rosemary is an internationally recognized leader in the exosphere and surface interaction community, continuing to make significant advances in our understanding of the exospheres at airless bodies, especially both Mercury and the Moon. Congratulations! Powerful solar eruptions could electrically charge areas of the Martian moon Phobos to hundreds of volts, presenting a complex electrical environment that could possibly affect sensitive electronics carried by future robotic explorers, according to a new NASA DREAM2 study. The study also considered electrical charges that could develop as astronauts transit the surface on potential human missions to Phobos. Parvathy Prem joins DREAM2 in an APL Post-Doctorial position in support of DREAM2 exosphere and surface studies. A University of Texas graduate, she has modeled cometary delivery of water and the resulting transient atmosphere at the Moon. Orenthal Tucker also joins the team in a NASA Post-Doctoral position at GSFC in support of DREAM2 exosphere and surface interaction studies. A University of Virginia graduate, he has a number of works on planetary exospheres, including that at our Moon, Titan, Pluto, and the Enceladus plume. DREAM2 team members were all over the country observing the eclipse on 21 August 2017! Most of the SSERVI glasses provided to DREAM2 were distributed between the Citadel and the RiverDogs baseball stadium in Charleston, SC where DREAM2 E/PO lead Lora Bleacher assisted in hosting formal NASA events. Team members were located at strategic locations along the path of totality from Oregon to Idaho to the Carolinas. Team members also hosted events, both NASA-sponsored and informally with family and friends. It was a terrific experience shared by millions who gazed in the same direction both Moonward and Sunward that day! After a summer of work, our DREAM2 interns presented their research results yesterday on topics as varied as quantifying the dust in the Enceladus plume, supporting public outreach for the upcoming 21 August eclipse, examining landed plasma measurements, and observing & modeling the exosphere of the Moon. We congratulate all the interns on their terrific work and wish them the very best for the upcoming school year. Human access to space is expanding in a new realm of deep space exploration, space tourism and society's increasing reliance on rapid and reliable aviation. We invite abstracts on research including the origin of SEPs from coronal mass ejections, propagation of events through the solar system during the anomalously weak solar cycle 24 and important examples of radiation interactions for Earth, other planets and airless bodies such as the Moon. The AGU fall meeting is from 11-15 December in New Orleans. More details about the session can be found at https://ssed.gsfc.nasa.gov/dream/docs/sessionAt2017AGU.pdf. Nine summer interns arrived this week at Goddard in support of DREAM2 scientists. The interns will work on a number of exciting projects like Apollo surface experiment observations, exospheric research, dust-plasma studies, education & outreach applications, and radiation studies. The interns will present their work in a set of posters and presentations later in the summer. Welcome! DREAM2 team member Mark Loeffler is leading a team in the Goddard Radiation Facility to get a 1 MeV Ar+ beam line in place for irradiation of minerals, simulants, and eventually lunar samples. The irradiation is anticipated to create near-surface crystal defects, which may further enhance trapping of D using a lower energy deuterium beam. A number of exciting new studies are anticipated with this two-beam experimental set-up. Using measurements from the Apollo 14 Suprathermal Ion Detector Experiment (SIDE), a DREAM2 team of investigators lead by Mike Collier found evidence for the formation of unusual non-monotonic surface potentials that trap photo-ions and reflect electrons. These potentials occurred when the Moon was located in the geomagnetic tail. The potentials were actually discovered a few years previously from orbiting spacecraft well-above the lunar surface. Now their signature is found in a re-examination of the rich Apollo-era surface package. Collier also enlisted the assistance of Intern Ana Newheart in searching and analyzing the exciting find – further ensuring the legacy of Apollo to the next generation of scientists. In late January, the DREAM2 team submitted its yearly report to SSERVI-Central. 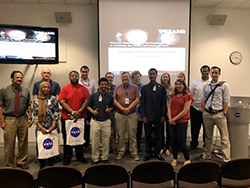 The report outlines the terrific work that was done in the 3rd program year – including the publication of 22 new DREAM2-funded papers, the intramural study of the space environment at Phobos, a vibrant intern program with our partners at Howard University, and highly-rated DREAM2Explore educator workshops.